When I'm on holiday, one thing's certain. I will voraciously consume books. When you've got a young child and you're all sharing a room, there's nothing better than escaping out onto the balcony with a good book and diving through it. 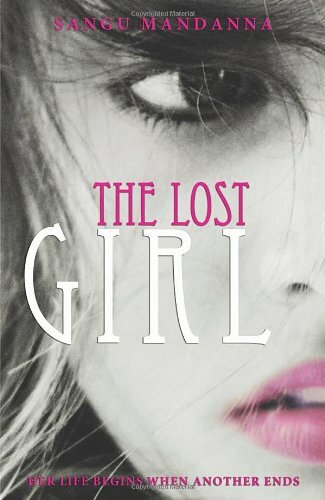 We were originally sent "The Lost Girl" by Sangu Mandanna some time ago, and though it's taken till now to have a platform to review it on, it's worth taking a closer look at as it is original and thought provoking stuff. In a society mirroring our own, the technology exists to produce "echoes" - parallel living beings that are more than just clones of a person. Designed to step in and replace the original person in the event of an accident, echoes are created on "The Loom" and spend their lives learning all the intricate traits, mannerisms and lifestyles of their 'originals'. The novel concerns one such echo, a girl whose 'original' is named Amarra but chooses to call herself Eva (named after a mischievous elephant she sees in a zoo during an illicit day out). The girl she's designed to 'replace' is feisty, somewhat spoilt perhaps (my wife described her as 'whiny' even, eek!) and privileged. When tragedy strikes and Amarra is killed in a car accident, Eva is destined to fulfil her role, to replace Amarra and live with her grief-stricken family. The aim is that Eva will neatly assume Amarra's role, soak up Amarra's lifestyle, share Amarra's friends and her boyfriend Ray, and no one will notice. But of course, the best laid plans of mice, men or weavers are never as clear cut and never run strictly to plan. Eva is spirited, more so than Amarra. Eva is different, and despite being an echo, Eva is her own person with her own wishes and desires. Wishes and desires that are not a neat fit for her new life, or any kind of fit at all for the weavers who created her. Sangu Mandanna has produced a work that dances neatly between science fiction and fact. It does not blather or babble or befuddle us with technicalities, but it does deliver a story that calls into question everything we consider moral, deals delicately with the multi-layered nuances of grief, and delves into ethical questions that will, undoubtedly, one day become as real as humanity's desire to answer questions about our own creation, how we came to be, how we evolved to a state where we feel we're masters of the universe rather than pawns. The book heavily refers to one of my favourite books of all time, Mary Shelley's scintillating "Frankenstein; or the modern prometheus" - in fact it's more a totem to Eva than anything else she encounters. There are times when the novel forces us to evaluate whether we actually like Eva, but we can't help but admire her quest to prove that any living being - artificially created or otherwise - has a right to live in the way they choose not at the whims of others. A fantastic, original and wholly absorbing debut.